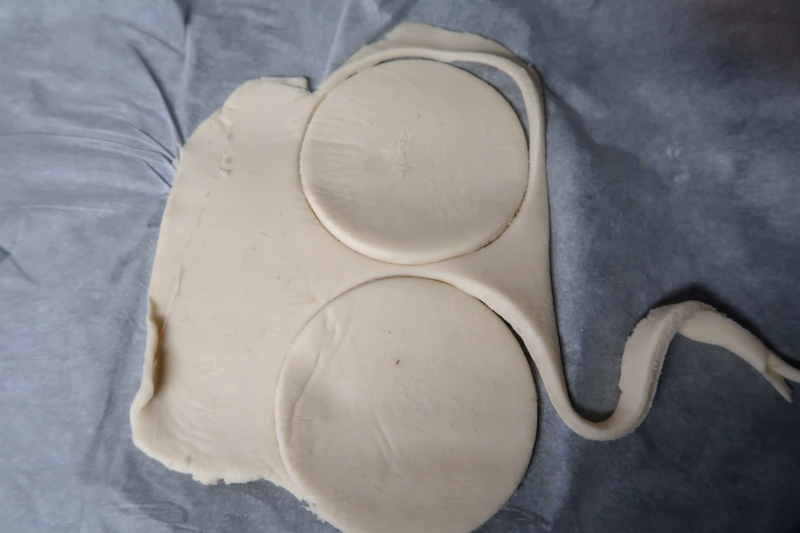 Roll out your puff pastry sheet. 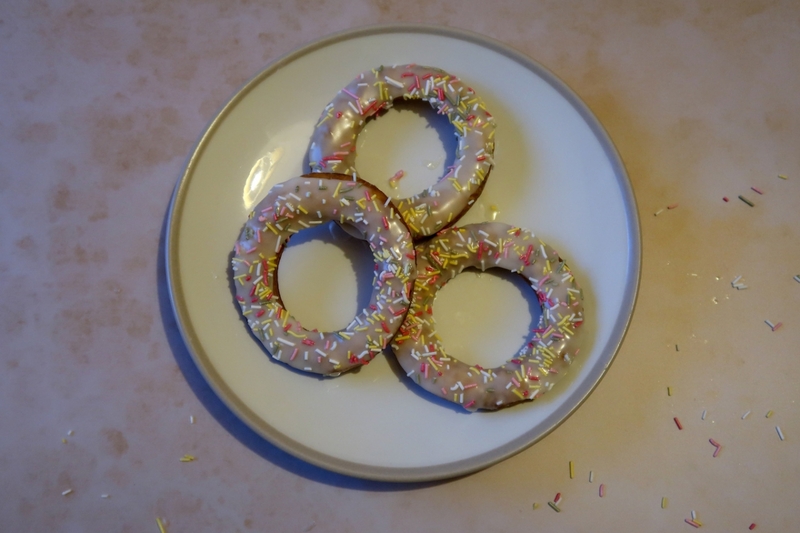 Stamp out your doughnuts using either a doughnut stamp or a circle cookie cutter. Use a round 1-3 sizes larger for the outside than stamping out the hole, depending on how large you like the doughnuts to be. 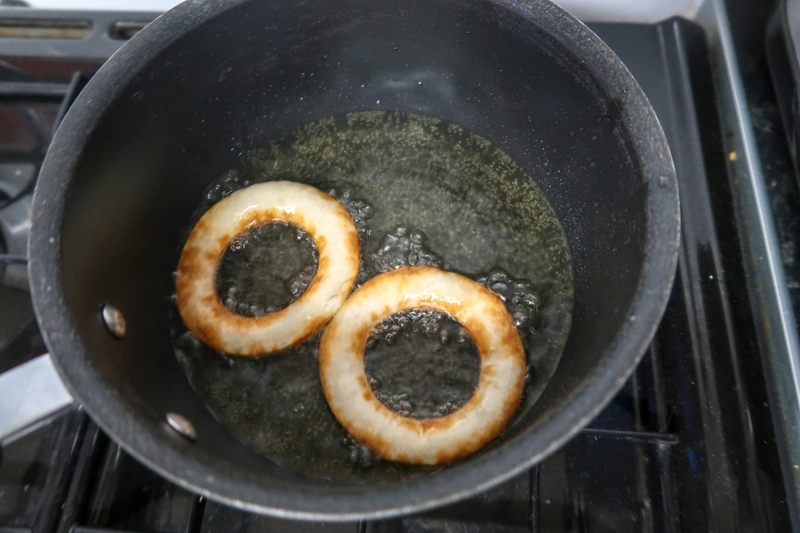 Fry the doughnuts, and doughnut holes in 1-1.5 inches of vegetable oil at 190C (375F). I found that these fried in around 1 minute on one side and 30 seconds on the other. This will vary depending on the size of your pan. I used a saucepan that was only big enough to fry 2 doughnuts at a time but this meant I didn’t need a vast quantity of vegetable oil. Transfer the doughnuts onto a cooling rack. I placed kitchen towel underneath mine to catch any drips of oil. Once the doughnuts are cool you can make the glaze. 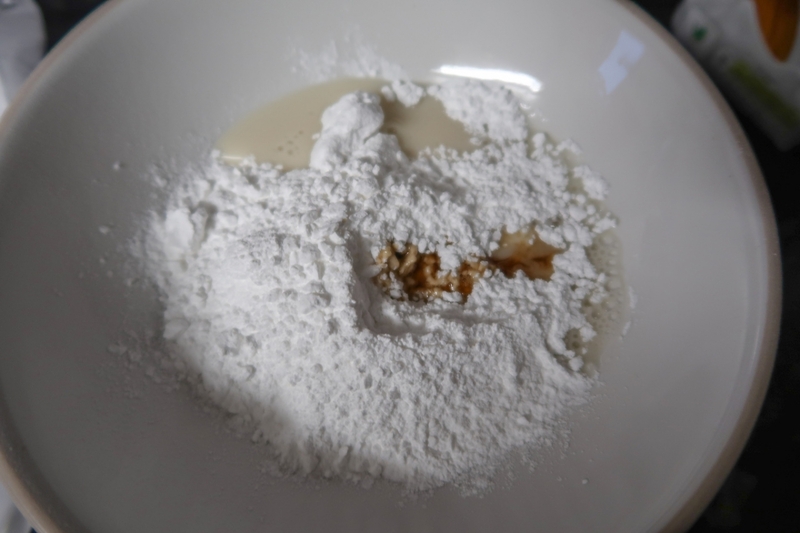 Mix together the icing sugar, vanilla extract, dairy-free milk and combine until you have a smooth but runny icing consistency. 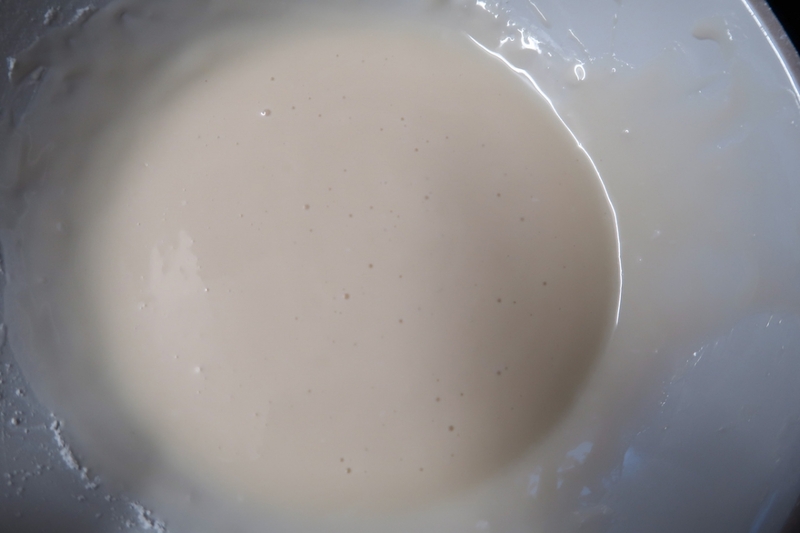 This is your doughnut glaze. When your doughnuts are cool you want to dip them in the glaze and then add anything toppings right away. 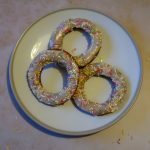 We sprinkled sprinkles over our doughnuts and within a minute or so the glaze had set and the sprinkles were held in place nicely. 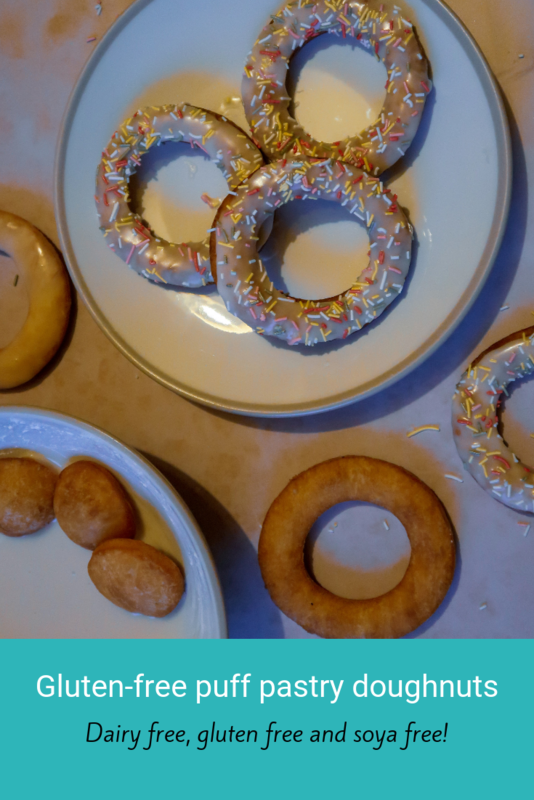 As we don’t like waste in our home we re-rolled the rest of the pastry, we managed to get 2 more doughnuts, making 8, out of a 280g pastry sheet. We also saved all of the middles and punched lots more out of the leftover pastry. This gave us a load of lovely little fluffy, puffy tasty doughnut holes. 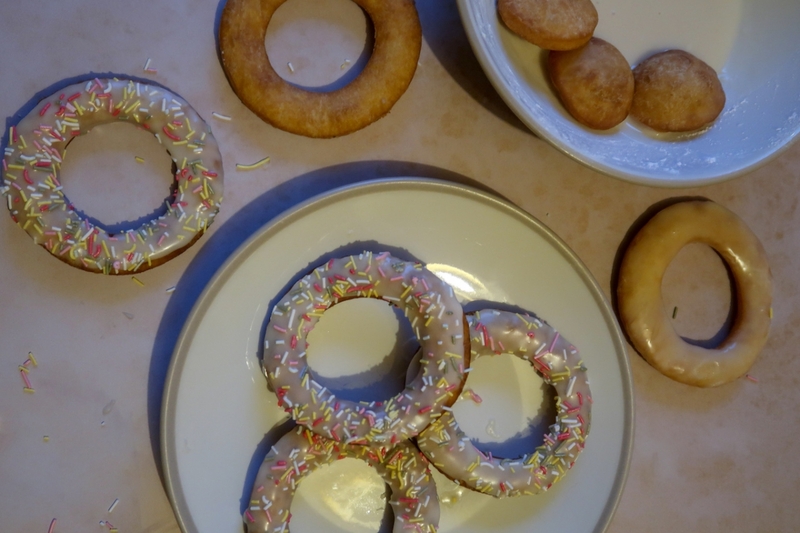 Stamp out your doughnuts using either a doughnut stamp or a circle cookie cutter. 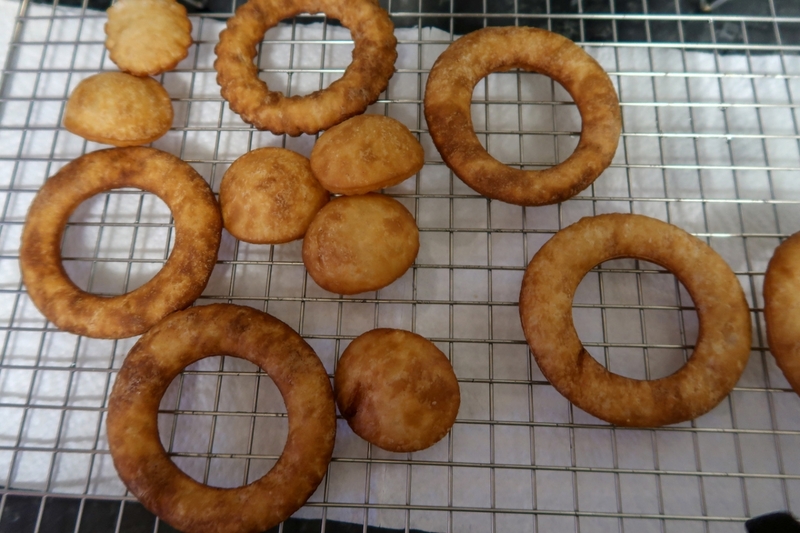 Fry the doughnuts, and doughnut holes in 1-1.5 inches of vegetable oil at 190C (375F). I found that these fried in around 1 minute on one side and 30 seconds on the other. This will vary depending on the size of your pan. I used a saucepan that was only big enough to fry 2 doughnuts at a time but this meant I didn’t need a vast quantity of vegetable oil. 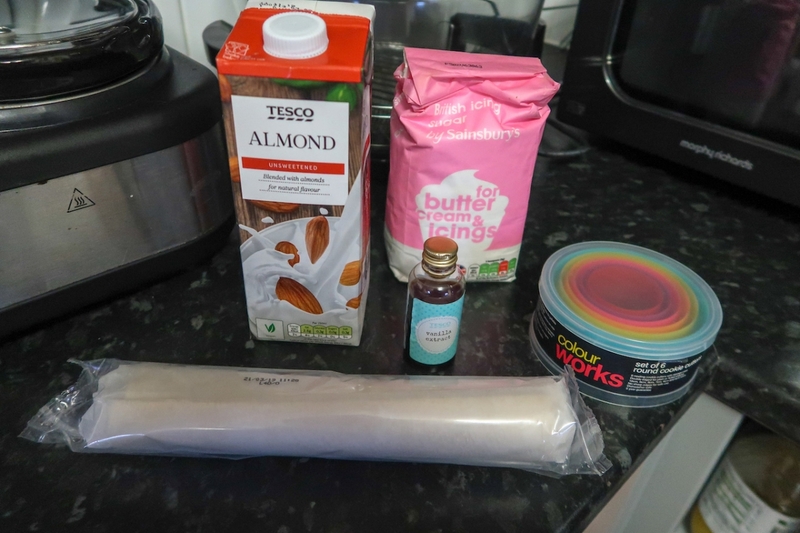 As we don’t like waste in our home we re-rolled the rest of the pastry, we managed to get 2 more doughnuts, making 8, out of a 280g pastry sheet. We also saved all of the middle, and punched lots more out of the leftover pastry. This gave us a load of lovely little fluffy, puffy tasty doughnut holes. 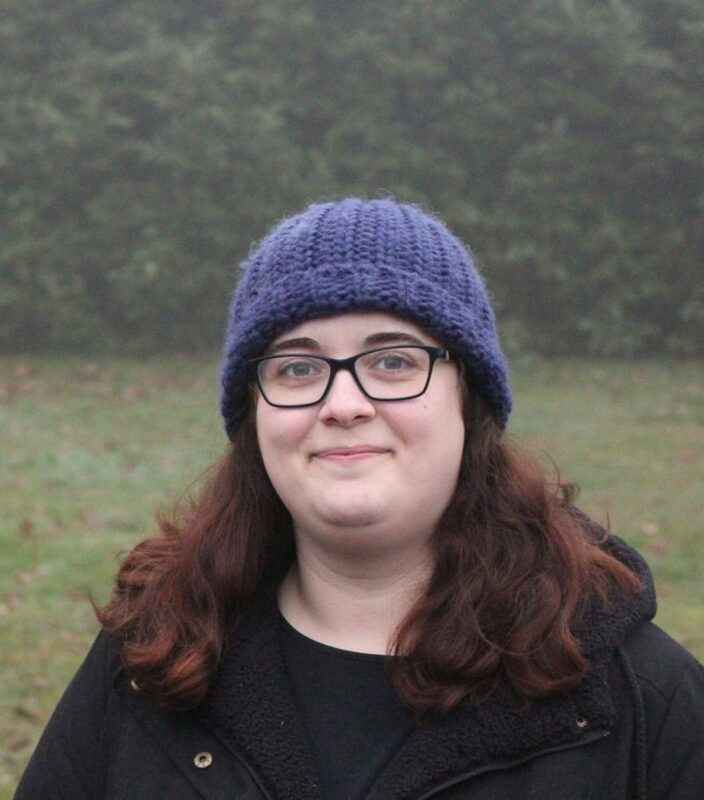 If you enjoyed this post I’d love it if you could give it a pin on Pinterest for me!